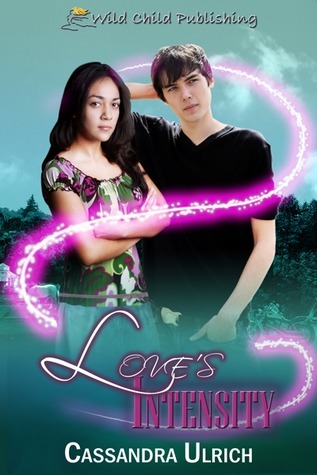 Love's Intensity is a cute read full of sweet moments and a fun plot. The story had a lot going on. Both of the love interests had great character development. A lot of the time you only get to see one character, what motivates that one person to do what they do in a relationship. Not in Love's Intensity. Both characters had motives and agendas outside of just "lurveee". This made for a much more interesting story in my opinion. I liked how the funny moments blended well with the dramatic ones. You have a blend of pacing, character development, and action that really made me want to keep reading the whole way through. The paranormal element was well done as well, making the supernatural become actually seem realistic and normal. I really enjoyed it! Definitely give this book a try if you like cute romances or just an overall good story! Brad had been standing in the doorway in time to see Kressa fall off the horse. When he had gotten up and walked to the office to grab the key, he found it missing and figured Kressa must have already taken it. Running to the stable, he hoped she was okay setting up her horse for the ride. From the way she was sprawled out on the stable floor, he could tell she had a little difficulty. Brad walked over to Kressa and gave her the boost she needed to sit properly on the saddle. Cassandra will be awarding a $10 Wild Child Publishing GC to a randomly drawn commenter during the tour. Thank you so much for hosting my book review today and for your gracious review. I really appreciate it. I'm excited to hear from everyone reading this review. I will post two questions for readers to answer for a chance at the prize. Brad likes fast cars, horses, and bikes. I would love to get my hands on a Lamborghini. What vehicle would you like to go fast in? Kressa misses her home country Mexico. I am from the U.S. Virgin Islands, but I'd love to see the castles in Germany. Where do you wish you could go? It's time to say good night. Thanks again for having me here.